Choosing between all items listed below as the best solar panel game trail camera maybe tricky for you. Convenience and durability is always the concern of every user. The advantage of a solar-powered device is you can reduce electricity bills as it does not require electricity charging. Most of the solar-powered camera is weather dependent and has a low maintenance cost. You are not also required to buy expensive battery cells for the camera power. The best advantage of solar power is, it is a renewable energy source. You can acquire it in all areas of the world; it is accessible everywhere, and you cannot run out of solar energy. 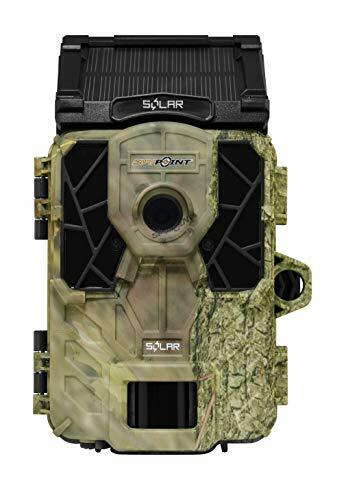 Listed below are the ten best solar panel game trail camera with their features and specification. 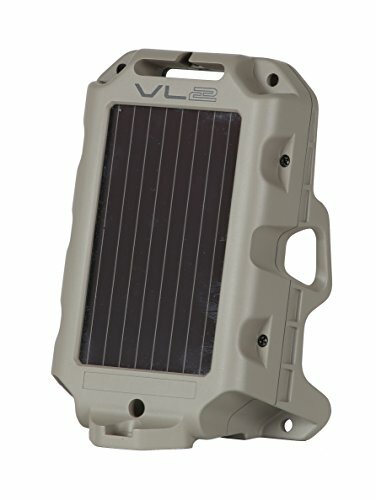 If you are searching or planning to buy a solar panel trail camera, it could help you choose your own. Armed with 12 megapixels of image resolution, Tec.Bean Camera can produce stunning colored images. A high-definition 1080P video resolution gives quality video with audio up to 90 seconds. It provides graphic imagery down to every detail of the film, and it takes up to 9 photos with the trigger speed of 0.6-0.8 seconds. Any movement with the fast trigger speed will be captured instantly. Equipped with 36 pieces no-glow IR LEDs, Tec.Bean Solar Panel Trail Camera can extend its night time vision range to 75 feet. With 940nm invisible infrared dark LEDs, it can capture transparent black and white pictures even in a night setting. The trail camera’s capture modes which are hybrid mode and motion detection offers you more option when you want different hunting situations and target. This game camera is not limited to warm-blooded animals as its battery life expands up to 8 months. Furnished with IP66 advanced protection, Tec. Bean Camera is safe and can be used outdoor during steady rain or snow. It can grant you double protection because aside from its waterproof casing, it is also a password-protected device. You can worry less about the stolen files being reviewed. Shown in the camera stamp are, date, temperature, time, moon phase, pressure, GPS geotagging, timer, real-time play, hybrid mode, interval recording that brings you to multiple application. The camera battery consumption is low because it has a patented-energy saving device in the lens which enables a standby current of 0.3mA. Tec. Bean Solar Panel Trail Camera is powered by 8AA batteries and is a solar-powered device. The files that the camera will produce will be saved as JPEG automatically. Offers a waterproof casing for ecological monitoring. Has a long night vision range. The materials of the device are exotic since it is a solar powered device. It can be associated with pollution. Designed with a weatherproof housing, this feature can protect the camera from the four elements over an extended period of outdoor use. It can record and capture photos and has a storage space of 32GB with SD/SDHC memory card. The 2″ LED screen enables you to view and manage videos on the spot with high-definition quality. Recording during dim is not a problem with this camera because it has 100′ range for covert nighttime illumination and infrared flash with 42 LEDs. It offers passive infrared motion sensor to measure the infrared light radiating from objects in its field of view. The detection range of this Spypoint solar is from 5 to 80 feet wide that you cannot miss any footage from the area. The camera can capture six pictures per trigger event with the multi-shot mode and 0.3 seconds trigger speed. The camera operates with MySpypoint.com, an online portal that lets you share the images taken from the device. Spypoint Solar Panel Trail Camera provides an instant mode for security purposes, same delay options as photo mode, and a photo first option feature. The image format is saved automatically in JPEG while the video is in AVI. It offers 12 megapixels of image resolution where you can get high-quality pictures and videos with an optical field of view of 40 degrees. Being powered by solar panel, this camera charges the internal battery. It requires 6AA batteries as the backup battery source. This solar camera offers a time-lapse photo mode and continuous photo mode. The sensitive motion detection can cover five detection zones, and the distance detection sensor is adjustable. Shown in the image stamp are moon phase, time, date, and temperature. With a weatherproof and camouflage housing. Offers instant mode for trail use. It has a fast trigger speed. The camera offers a multi-shot mode where you can capture up to six pictures. Has a delay in feeder observation. It is not a password-protected device. It has no built-in python bracket. As its name itself, this is one of the best devices for outdoor filming and wildlife footage. 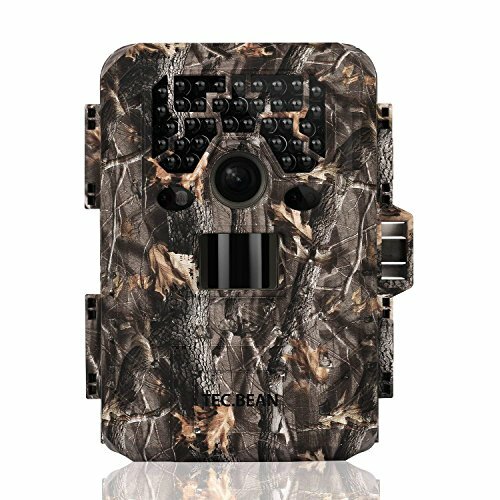 Armed with 12 megapixels infrared image resolution, this trail camera produces high-quality pictures and records 1080HD video clips. You can also choose an image resolution between 2, 5, 8, and 12 megapixels. 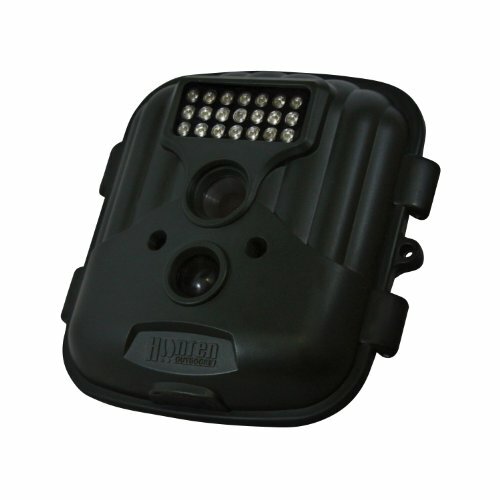 The IP54 function makes this solar camera suitable for indoor and outdoor filming. This is a waterproof device that withstands steady rain or snow. It has a built-in 2″ color viewer thin film transistor LCD that provides the best resolution. It offers several modes; taking pictures, recording video while taking photos, and a time-lapse way that sets intervals in taking photos to make changes over time. This device is not just in wildlife filming, but it also suits security system in the home, supermarket, warehouse, and other establishments. A trigger speed of 0.6-1 second, you would not miss any footage of the film within the camera’s detection range. It offers a storage space of 32GB whether it is an SD memory card or a TransFlash card which is specially designed for mobile phones. This solar panel trail camera produces colorful images during daytime and black and white pictures during nighttime. The graphics and the black and white image generated is caused by 940nm invisible infrared black LED feature. This device is powered by either 8AA batteries, 12V DC, or solar power. Its standby period lasts up to 6 months in the area. The pictures taken are automatically saved in JPEG format while recordings are in AVI format. It has an exterior of green camouflage and a weatherproof device. It suits in indoor and outdoor filming. Offers a 2″ TFT LCD. Accepted SD memory card is only class 8. The patented motion detect function of Bestguarder 8 is useful for cold-blooded animals and surveillance. Provided with 12MP image resolution with an option of 2MP, 5MP, and 8MP, it gives you high-quality colored pictures. It can produce 1-9 images per trigger with the trigger speed of 0.8-1 second. It is triggered by any movement within the detection range by a highly sensitive PIR motion sensor. Every video has an audio record that has a programmable length of 5-90 seconds. The 42 pieces Black IR LED and 3W white flashlight enables the camera to produce a full-color photo or video whether it is daytime or nighttime. With the detection range of 75 feet and the trigger speed mentioned above, you cannot miss any useful footage of the film within the full range of the camera. It a water-resistant device and has an extra TF slot for the 32GB memory TF card. Bestguarder is popularly known for its 8 in 1 feature, these includes; HD game camera, HD video camera, HD color camera and video, time lapse camera, game call, alarm system, motion detect, and wifi camera plus MP4 and SD card. Included in the image stamp are, GPS geotagging, temperature, date, time, barometric pressure, and camera ID. This camera is the best for outdoor use as it offers the IP66 specs which are water-resistant. It has five capture modes; photo mode (taking image), video mode (record video with audio), time-lapse (takes a picture with time interval). Additional to the five methods are; hybrid mode (takes one image then one video), and the motion detection (taking videos by detecting light). Offers black IR LED and 3W white flashlight. The 8 in 1 feature. Images and videos are in high resolution. It offers slip lock which is not strong enough. Powered by a solar panel, this camera is very convenient to you because it assures you durability and easy-to-use features. Hunten Outdoors has a 2.0 megapixels image resolution that gives you high-quality images and video records. The 1.3 megapixels resolution of night infrared flash gives you excellent pictures during nighttime filming. You cannot miss any essential happenings during the film as it offers a one-second trigger speed. It also has a ten seconds delay option to ensure that every footage is filmed. Aside from being a solar panel device, it still has an external battery port in case of emergency. It can produce clear and best pictures with the 21 incredibly bright LEDs that the camera offers. It can detect motion from a distance with the 60 feet PIR sensor and 40 feet flash range detection. 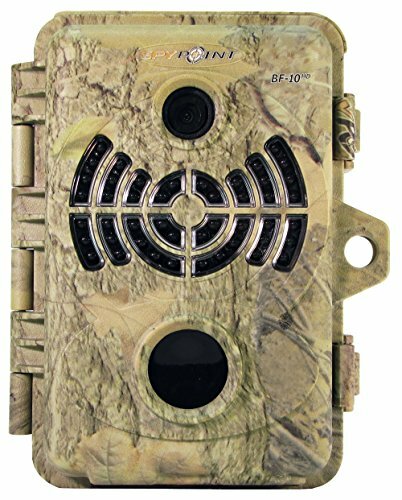 Just like other solar panel game trail cameras, Hunten Outdoors saves all images in JPEG format while the recorded videos are saved in AVI format. It offers a slot for an SD memory card to keep all the files. Hunten Outdoors provides an LCD that gives you the opportunity to view the pictures taken on the spot in a transparent and high-quality manner. 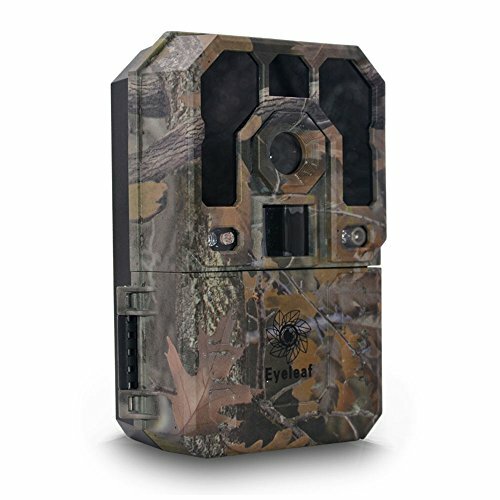 Unlike other game cameras that has a camouflage exterior, this Hunten Outdoors does not give a camouflage design, but it can be attached to a tree stand easily. Has an extensive coverage of 60 feet of PIR sensor and 40 feet of flash range. This camera provides a night infrared flash for nighttime captures. It does not apply water-resistant feature. Has a slow trigger speed. This Skypoint BF is not just a camera, but this is also a tool that will help you capture every detail needed for your research. This solar trail camera operates with 6AA batteries, and it is a rechargeable lithium battery known as LIT-C-8. It could give you up to 6 shots in one detection through the continuous shot feature of the camera. One of the best feature that this solar camera has is the 46 black light emitting diodes that gives light efficiently for an excellent captured pictures. The LED light can capture any scenes brightly at night without any dark spots. You need not worry about the views or shots during nighttime as the LED light will take every shining and live moment for you. In addition to the reason of its spectacular shots is the 10 megapixels image resolution of the camera. This solar panel game trail camera will provide you an excellent, non-pixelated, and realistic pictures and videos that you want. It includes a high definition video and a full viewing screen equivalent to 2.4 inches with distinct audio. The common problem of the cameras nowadays is the slow processing of picture. However, Skypoint BF allows a fast trigger speed that would not miss any footage from the area as it is equipped with five sensors. The camera can capture things and scenes right at the moment as you take it. It provides you the essential accessories of the trail camera like mounting strap, USB cable, and a video cable. Produce bright pictures during day and night. It has a durable case. The camera can use both AA and Lit-C8 batteries. Offers 46 LED light for flash. It has a high battery consumption of day and night. Provides slow recovery time of 10 seconds. Having access to the photos through the black box receiver, this solar camera is best for researchers that want to avoid disturbing their hunting spot. The range between the Tiny-WBF and black box receiver extends up to 250 feet, and it is wireless. The wireless back up system is also useful in case of thefts and damage to the camera. You may also retrieve the files or photos from the device while you are away from the area. This camera enables you to view the images on the spot with its full screen LED of 2.4″. It provides you high-quality pictures and videos with the 8 megapixels image resolution offered. In addition to the quality photos produced by the camera is also because of its 75 feet flash range. It also provides a time-lapse feature for you to take images with an interval time. Shown in the image stamp are temperature, date, time, and moon phase. Spypoint Tiny-WBF offers a multi-shot mode where it produces up to six shots per trigger. It has three sensors provide and seven detection range where you get fast trigger speed and more centered images. This camera gives you quality color pictures during daytime and sharp black and white during nighttime. It has an adjustable distance detection of 5-65 feet. It is powered by 6AA batteries or rechargeable lithium batteries. The camera has the slot for 32GB SD memory card, and the receiver may use an 8GB memory card in transferring files. For your convenience, it provides you a sliding mount for easy handling of the camera. It offers a wireless black box receiver. The camera offers instant trigger. The camera can combine with a wireless receiver. It offers adjustable distance detection. It does not offer the water-resistant feature. This solar panel game trail camera is the perfect device for hunting troublesome wild animals and domesticated pigs. With two high-intensity LED feeder light, you can now monitor your feeder after dark. It is designed with a built-in solar panel and 16 high-intensity LEDs. The easy-to-use light feature of the camera has an onboard lithium-ion battery that adds to the solar panel feature to make it more self-sufficient. It is a weather-resistant device so it can withstand steady rain and snow. Wildgame Innovation Moonshine Light can produce high-quality images and footage during daytime and nighttime. 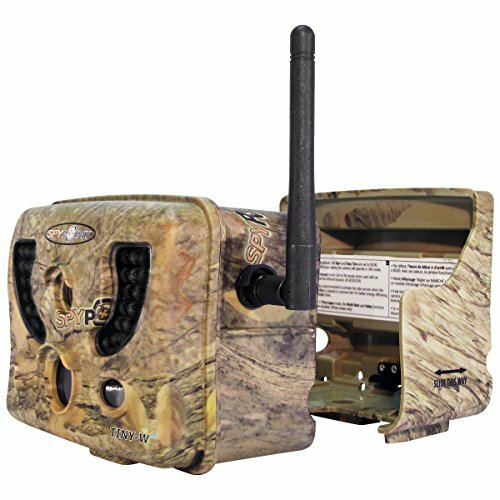 This game trail camera is activated with a passive infrared sensor that measures infrared light radiating from the area within the detection range. Wildgame Innovation Moonshine Light offers an easy installation for any feeder. It is activated by motion so it can also be a great security addition to your house and to the camera where it is set-up. It has an on or off switch even when it is not in use. This game trail camera is designed primarily for hog and predator hunting. Weighing 5 pounds, it is has a setup hardware and mounting screws included with this device. In capturing an image with this tool, it is bound to remove darkness from the night. One of the best things about this gadget is the built-in solar panel that makes changing expensive batteries a thing of the past. It offers built-in lithium-ion battery. Its design is water-resistant for durability. Provides easy installation for any feeder. Designed for hog and predator hunting. Animals may be distracted because of the feeder light during dark. The primary purpose of this camlock box is to protect the camera from theft and to deter from unauthorized users. It does not only protect from thefts but also from the animals within the area. If you do not want to use bolts on the tree, you need not be the hassle because it is python cable compatible. Since this camera is designed with steel, it can withstand from the steady destruction of nature. It is not only a waterproof device but also a weatherproof. Camlock box suits for indoor and outdoor purposes. The outer shell of the box is constructed of massive 14 gauge steel material. The front mask is built out of extensive 11 gauge steel material. This features allows the camera to be taken in and out of the box and point to the same spot. The camlock box can be lag-bolted and belted to trees with plenty of clearance for large-headed bolts. The camlock box is lockable with any ordinary padlocks for added security and is an excellent tool for public uses. The holes that are cut in the plates allows the solar panel to hook up to the trail camera. It has a sound port added to cameras with sound recording ability. Unlike the other camlock boxes that use a shoe box design, this camlock is all made up of steel that provides you complete protection from theft and animals. 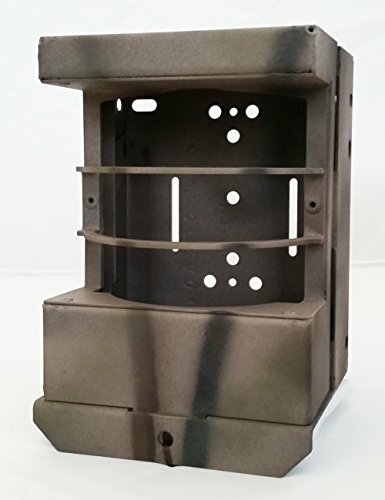 This camlock box is a powdered coated with a camouflage break-up paint that also helps to protect the camera from the elements of nature. It is made up of steel. Has a proper security system. Maybe heavy since it is made up of steel. Makes the trail camera look more prominent and recognizable. This Bushnell is a solar panel accessory that allows you to extend the battery life of your trail camera in its trophy camera HD line. You need to charge the panel accessory before using it for a better result and longer battery life. 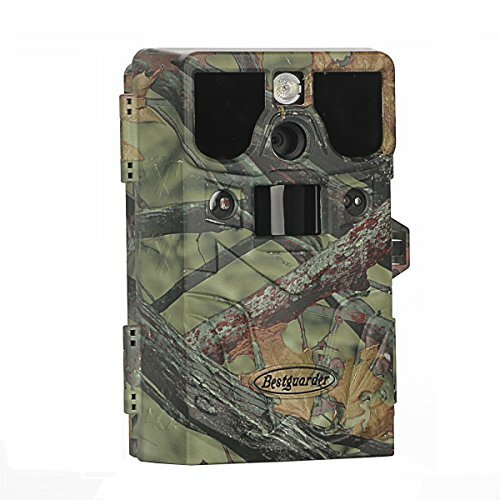 The batteries of the Bushnell 119756C are capable of supporting whether trail camera or a regular camera. The panel accessory operates for 2-26 weeks without recharging it through solar, but it depends on the power demands of the selected modes. If the panel is revealed into the full sunlight for 6 hours straight each day, it could provide enough power to the camera. It allows it to operate very well at a capture rate of 30 images per day; 15 during daytime and 15 during nighttime. The Bushnell 119756 Panel accessory plugs into the trail camera’s direct current input jack through the supplied 6.0″ armored connecting cable. This accessory enables the camera to extend the battery life for months. It provides a definite locking cable attachment point for your camera and solar panel. This fixture is chargeable via universal serial bus and allows charge level indicator on the rear of the accessory. 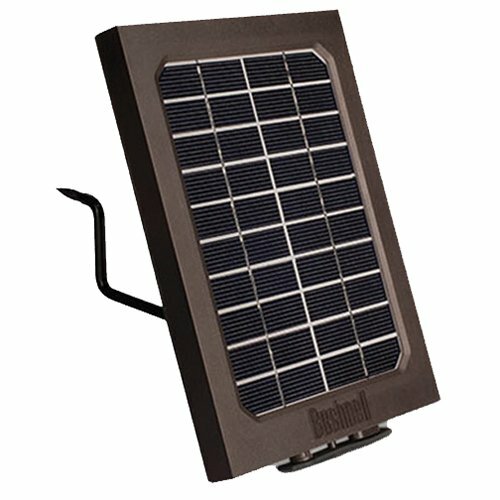 The adjustable screw-in bracket is also included with this Bushnell solar panel accessory. This fixture gives you the convenience to record nonstop for your film and to capture images that could help your research. It extends the battery life of the trail camera. You can charge the panel via USB only. It is not waterproof if it rains you need to keep it quick.